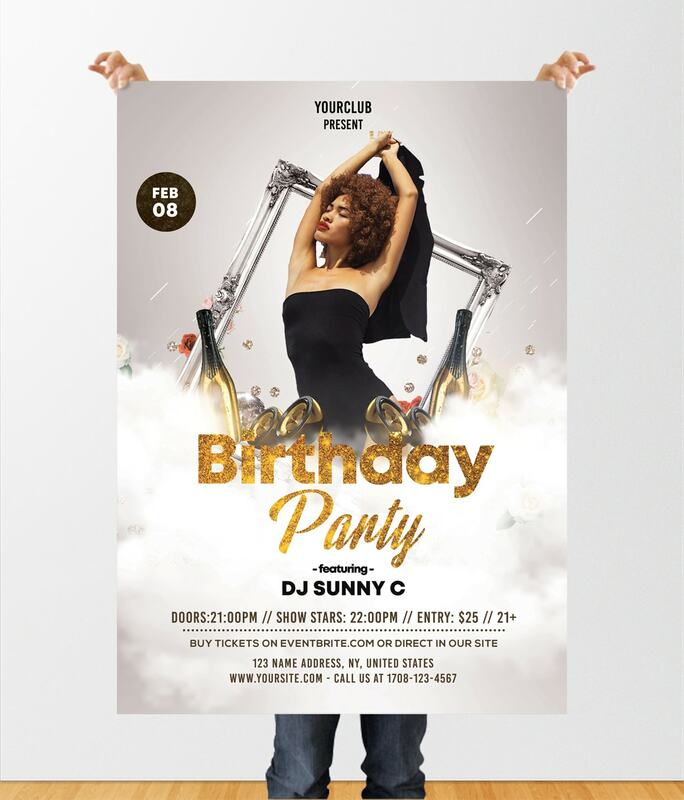 Download Birthday Party PSD Flyer Template for free. This white & gold is elegant luxury flyer template, easy to customize. If you will have any birthday event or party night, use this creative flyer template to present your event in a better way. This PSD Flyer is suitable for any Girls Party, Elegant Night, Hip Hop, DJ, Valentine’s event, music party or other dj promotion.